Snow and Trek Morzine | Mountain Biking, Extreme Adventure Sports, Walking and Fishing. Once the snow has retreated up the mountain and the flower boxes appear on the chalets Morzine transforms into a beautiful summer paradise. Morzine has a multitude of activities to offer ranging from mountain biking and extreme adventure sports, to the more leisurely pursuits of walking and fishing. Morzine is also only a short drive from Evian and Thonon les Bains both spa towns on Lake Geneva. There is also the charming old town of Annecy less than an hour's drive away with its canals and excellent restaurants and shops. The ski lifts operate for much of the summer giving you access to hundreds of kilometeres of mountain bike trails and footpaths. The town of Morzine comes alive with its festivals, weekly market and many other activities. The town also has an Olympic sized swimming pool, an ice rink, an adventure park, two golf courses, summer toboggan run also opportunities for lake and river fishing. Morzine Olympic sized swimming pool. SNOW AND TREK ARE AN ACCREDITED MULTI PASS PROVIDER AND SO ALL GUESTS CAN BENEFIT FROM THE MULTI PASS AT ..
With access to more than 50 activities throughout the Portes du Soleil during the summer season from 10 June to 3 September 2017. 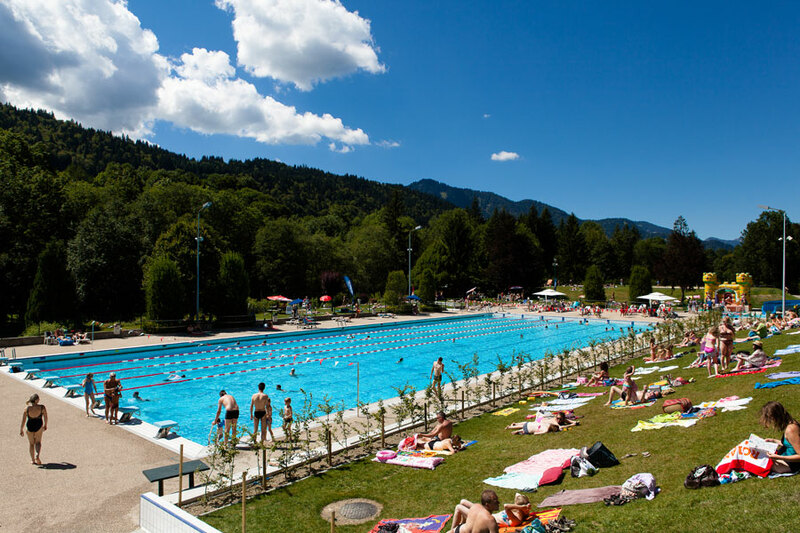 Outdoor and Indoor Swimming pools and Swimming Lakes: Morzine, Les Gets, Montriond, Châtel, Champéry and Morgins. Cultural Activities: Aulps Abbey Discovery Centre in St Jean d'Aulps, Les Gets Mechanical Music Museum, Abondance's Maison du Val, Abondance's Abbey, Troistorrents'Vieux Moulins de la Tine. Ice rinks: Morzine and Chatel. Tennis centres: Morzine (Large tennis centre with hard and clay courts), Les Gets, Abondance, Avoriaz, La Chapelle d'Abondance, Châtel, Vallée d'Aulps, Champéry and Morgins. Minigolf : Les Gets, Châtel, Morgins and Vallée d’Aluns. Road trains: Morzine, Avoriaz, Les Gets, Châtel and Champéry. The Multi Pass is issued for the total duration of your stay; so a 6-day stay entitles you to a Multi Pass costing 12€.